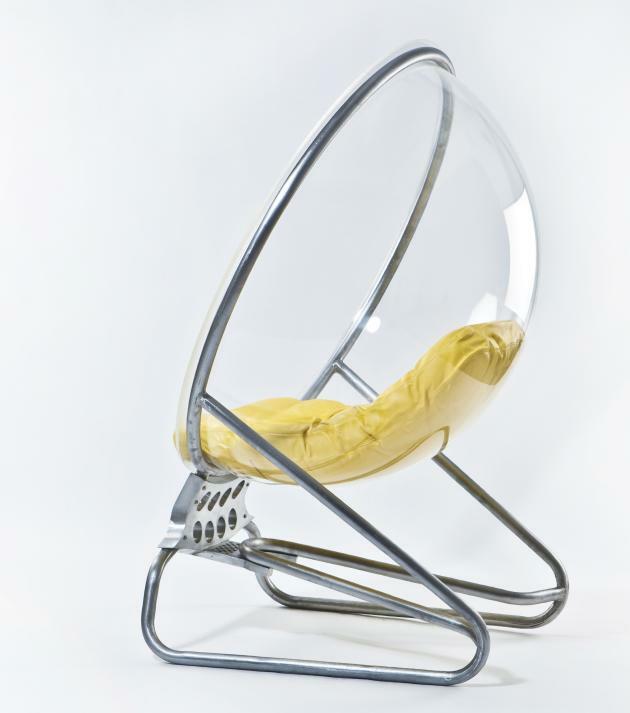 The Britain based designer Guadalupe Velazquez, has created the Air Bubble 33 Chair. I was inspired by different kinds of insects from the place I grew up, such as ants, and baby wasps when still in the nests. Where I used to play when I was child, there were leaf-cutter ants carrying their food and other colourful objects above their heads, protected by their legs, over the red earth. 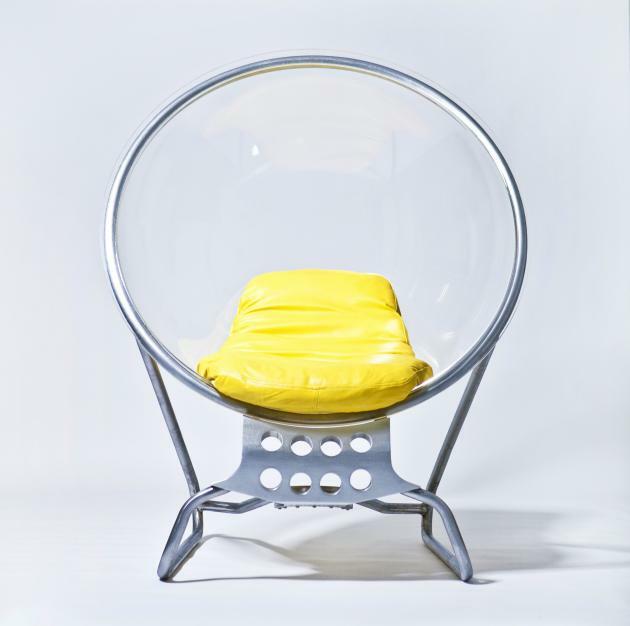 The chair is built with futuristic features, using acrylic, leather, steel and perforated aluminium. To make the cushion I used the idea of a banana shape. Visit the website of Guadalupe Velazquez – here.